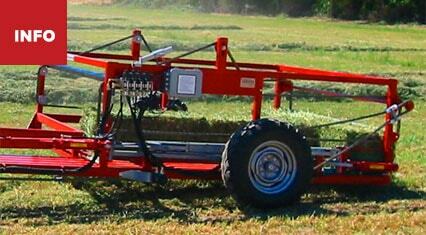 For as long as there have been hay bales, there have been people tasked with bucking them onto a truck or into a barn. But there’s a better, easier, far more profitable way to never touch a bale again: Our extensive line of bale accumulators and handlers for small square bales, large square bales and everything in-between. Each is virtually indestructible. And each can eliminate 100% of hand labor. Not 80%. Not 90%. 100%. No wonder our products have become the industry gold standard over the past 40 years. 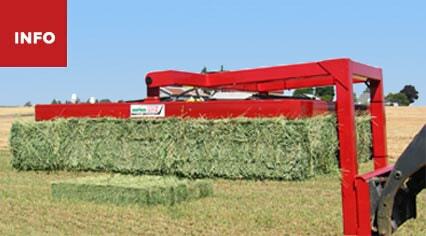 Simply put, our bale handlers are the toughest, longest lasting units available. Their unique, opposing spring steel teeth work like a claw — with plenty of strength to dig deep into your tightest bales while easily gripping even your softest hay. The sealed ball bearing tooth shaft pivots and an all-steel tubing frame makes the entire unit virtually indestructible. Our rugged accumulators are towed behind your baler and easily connect to the tractor's hydraulic remotes and better, thus eliminating the need for expensive hitch equipment. Needless to say, they also eliminate the need for a flatbed truck, hay hooks and the manual labor needed to pick up each bale and lift/stack each individual bale. 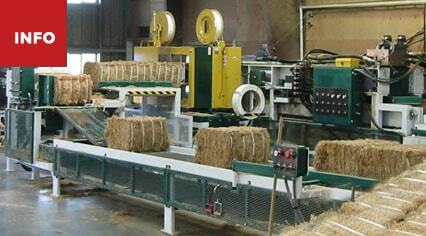 For nearly half a century, Steffen Systems has designed a wide variety of specialized machinery for packing, transporting, converting and processing small bales of hay and straw. Most of these products have been unique to our brand -- each developed specifically at the request of our customers.